Chicago recorded its first win of the season in its first contest of the season on Saturday, coming out on top over Elmhurst, 8–1. The long road to the UAA championship has begun, and the Maroons have taken a convincing first step. Chicago recorded its first win of the season in its first contest of the season on Saturday, coming out on top over Elmhurst, 8–1. There will be tougher tests ahead for the Maroons, but for the time being, the team can reflect on a job well done. The Maroons swept the singles points, winning all six of their matches in straight sets. Chicago’s only loss of the day came in the doubles, as fourth-year Harrison Abrams and third-year Neil Karandikar fell to Elmhurst’s Alex Harbert and Wil Jung in a hard-fought match, 9–7. In the number one singles spot, Sabada beat Alex Harbert in a comfortable two sets, 6–2, 6–3, while second-year Ankur Bhargava came out on top, 6–3, 6–1, at number two. With Sabada and Bhargava setting the tone early, the rest of the team duly followed suit. Number three, first-year Jake Crawford, won 6–3, 6–4; number four, third-year Alexander Golovin, dominated Luke Tanaka, 6–1, 6–1; number five, first-year Gordon Zhang, came back well after a tight first set to win, 7–5, 6–2; and Abrams rounded out the sweep at number six, 6–0, 7–6—his second-set tie break being the Maroons’ smallest winning margin of the day. Chicago entered this matchup as the favorite, but good preparation and focus can sometimes get the better of individual talent, particularly in a season opener. Instead of falling victim to this, the Maroons did a good job of managing their expectations, maintaining a high level of intensity throughout the contest. “My expectations are simple: Just give all your effort. We might not be able to win every single match, but giving everything you have is in our control and I believe we did that against Elmhurst,” Bhargava said. The Maroons’ only blip came in the number-one doubles matchup when Abrams and Karandikar dropped their opener before Sabada and Bhargava were able to level the score with an 8–6 victory. 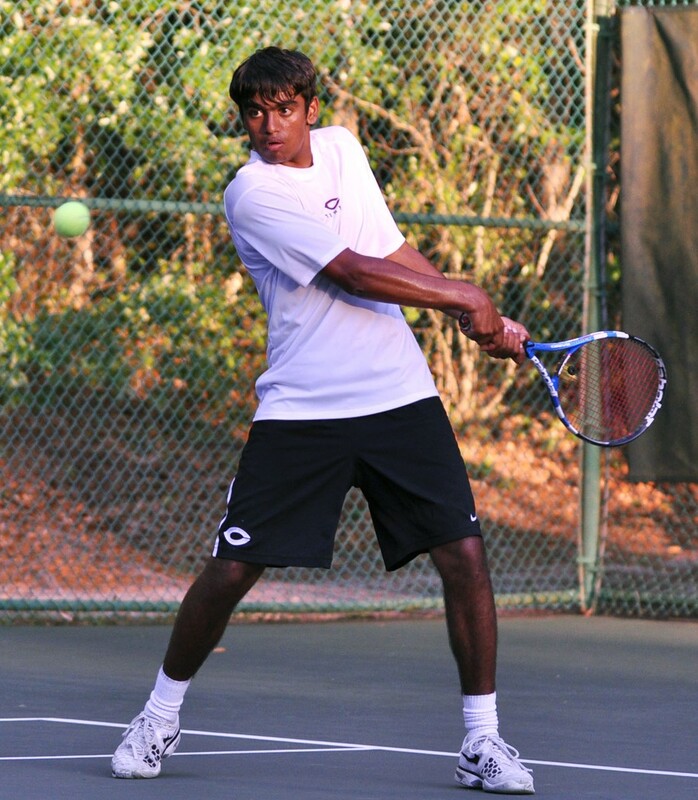 Golovin and third-year Krishna Ravella gave Chicago the lead in doubles with an 8–3 win. It all seemed very comfortable for Chicago, but the Maroons were quick to stress that the score line didn’t tell the whole story. “Elmhurst has a very competitive team and we expected a tough match. Although the score was 8–1, it was not an easy match by any means,” Sabara said. That opponent will be Kenyon next Sunday, February 10.